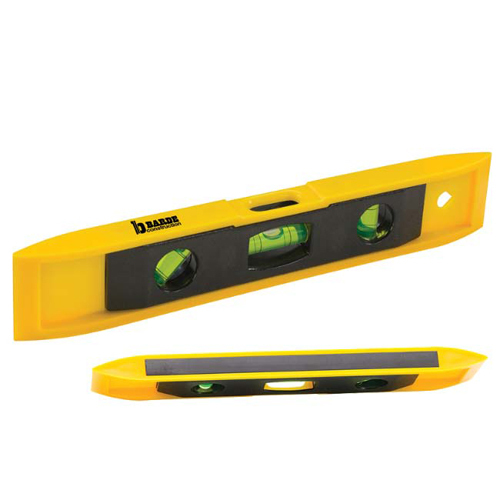 9" Plastic Level keep a level head on your next promotion by giving out this practical tool.3 directional levels and Magnetic edge. Made of High impact polystyrene plastic and ABS plastic. Bulk / 17 lbs / 99 pcs.